Menara BRDB boasts 223,000sf of signature office space at a prestigious address. 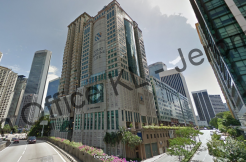 This premium 12-storey Grade A office tower is located adjacent to Bangsar Shopping Centre. It has a modern facade giving full view of Bangsar couple with a grand private drop off area behind the mall. It is an iconic development that epitomises the quality standards, innovative design and attention to detail that are synonymous with BRDB’s projects. With its easy access to dining, entertainment and shopping outlets, as well as being only minutes away from KL Sentral, Menara BRDB is truly the ideal location for you to advance your business. There are also limited fully furnish options available.